Ribbon and the sentiment were added to complete. The second card is a bit of fun for a birthday. choice for this 'magical' birthday card. Nothing like pulling a rabbit out of a hat!!! These are so fun, Diane! Great idea! I actually have that Queen of Hearts embossing folder and you have inspired me to pull it out! 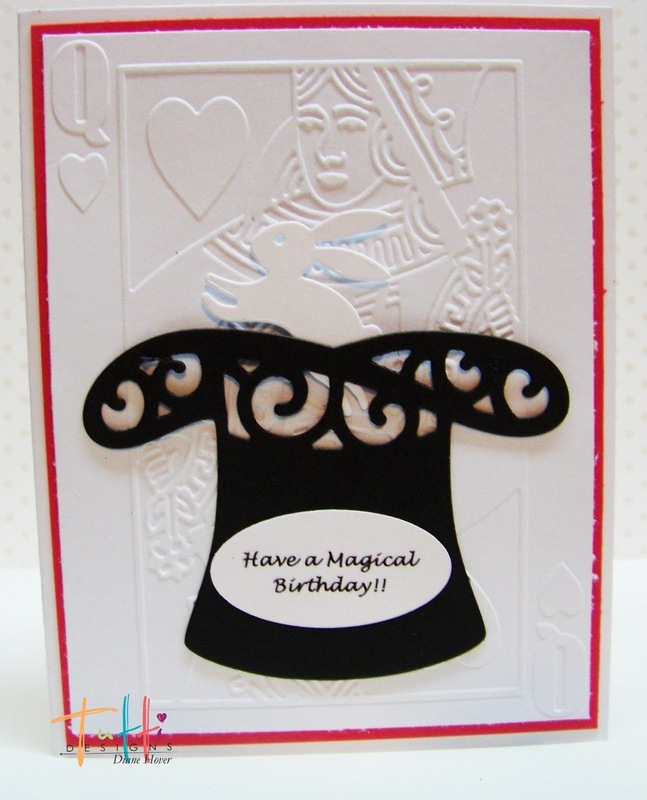 Great ideas Diane!That Queen of Hearts card is so creative. Fun cards! 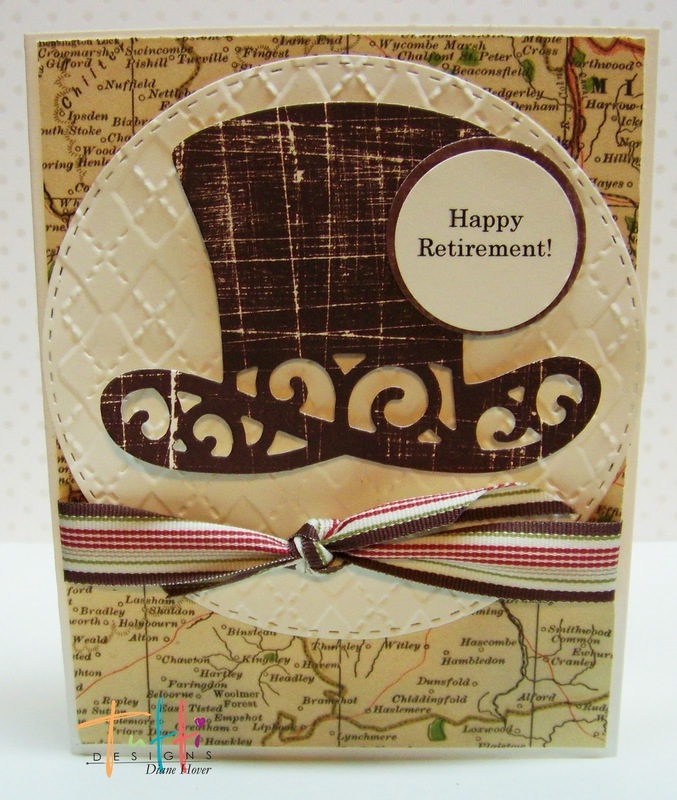 Same hat die ... two totally different cards ... awesome! LOVE the 'magical' card with the rabbit! Very clever and wonderful inspiration!